CarGurus has 25,042 nationwide Murano listings starting at $1,999. An improved powertrain, new platform, and upgraded interior give the '09 Murano an appealing combination of sporty handling, unique styling, and refined comfort. With a loss of interior space and cargo capacity this year, the lack of a third row option, and a high pricetag, the '09 Murano will strike some as not particularly family-friendly. While not quite large enough to meet the passenger and cargo requirements of a family, the '09 Murano should please young couples and single drivers looking for a nice blend of style, comfort, and solid performance. With the crossover field growing every year, the Murano remains a unique presence and offers many of the same features and high-quality interior materials as the higher-priced Infiniti. Families looking for a third row, however, will probably be inclined toward the more practical Honda Pilot or Toyota Highlander. Though sales of the Murano have increased in each of its five years, an ever-expanding crossover market has forced the 2009 Murano to start adding a few stylistic and performance updates in order to remain competitive. After skipping a 2008 version, the popular crossover returns a bit more snarly this year, at least on the outside, with an aggressively angled grille, higher muscular wheel fenders, and slit-eyed horizontal front and rear headlights. The characteristic raked windshield and small rear spoiler remain, but the rear roofline now slopes a bit more, with the unfortunate consequence of cutting off some of the cargo room. The interior also receives a modern updating, borrowing some of Infiniti's more upscale feel and streamlined ergonomics. New double-stitched leather appears as an option this year. On the performance end, a second-generation CVT transmission proves quicker and quieter, improving acceleration power and boosting both horsepower and fuel economy ratings in the crossover. A new, stiffer platform, shared with the Altima sedan and coupe, provides tighter handling and a quieter ride. The Murano seats five in two rows and continues into 2009 with three trim offerings – S, SL, and the high-end LE. All-wheel drive is standard across the line, with the option to substitute front-wheel drive only in the S and SL. S and SL trims ride on new 18-inch alloy wheels, with the LE sporting larger 20-inch wheels. The 2009 Murano shares its 3.5-liter V6 with the Altima sedan, and thanks to the second-generation Xtronic CVT, horsepower and torque numbers rise by 25 and 4, respectively, from 2007, to 265 hp and 248 lb-ft of torque. The new Murano's 18/23 mpg rating remains the same on paper, but is actually slightly better than the 2007's when you take the revised and stricter EPA estimates into consideration. Nissan reports 0-60 times around 8 seconds, and in the unlikely event drivers will use the '09 Murano to tow anything, it can haul up to 3,500 pounds. The updated CVT provides the real performance improvements here. The continuously variable transmission features a limitless range of gear ratios and adaptive shift control, both of which make shifting smoother and result in increased fuel efficiency and more direct power. 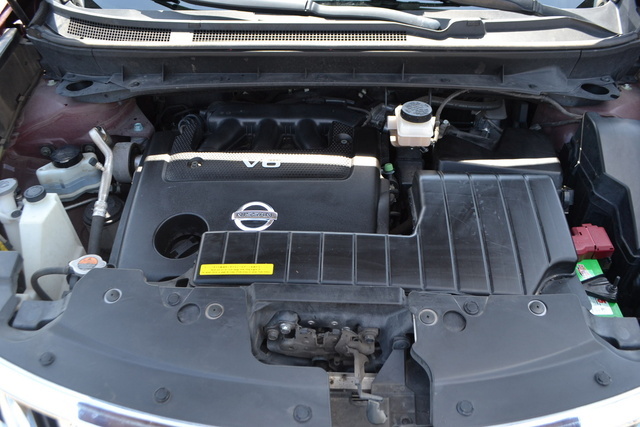 These types of transmissions work best with larger engines, and the Murano's V6 performs confidently when accelerating from a stop or passing others on the highway. Critics notice a much quicker throttle response and less lag time – a common problem with many CVTs. On a more basic level, owners find the new powertrain combo fun to drive, often unaware of how quickly and how far the needle rises on the speedometer. One drawback: The '09 Murano requires premium gas to achieve its maximum horsepower ratings. Reviewers and owners alike praise the agile handling and smooth ride of the '09 Murano, which feels noticeably stiffer and tighter thanks to the new D platform, borrowed from the Altima. Despite gaining a few pounds this year, the Murano does not exhibit increased body lean and actually feels sportier on the highway and around curves. The more rigid platform also reduces exterior noise, and drivers and critics overwhelmingly single out the quietness of both the engine and the cabin. For many, the new suspension feels too soft and floaty, with limited road feel, though this is also seen as a bonus by many drivers more interested in comfort than an interactive driving experience. Noise levels stay at a minimum on trims using 18-inch wheels, but the LE's 20-inchers increase both noise and bumpiness. Lacking low-range gearing, the AWD system should not be taken off-road, but does offer added confidence when driving in slippery situations. The system automatically distributes up to 50% of torque to the rear wheels when needed and comes with standard yaw control. Owners in wintry climates give high marks to its performance and appreciate the extra safety and security it offers. Like the exterior, the interior of the '09 Murano received an overhaul, upping its luxury factor to the level of the more upscale Infiniti models. All trims come with a power driver's seat with the S offering 6-way, the SL 8-way, and the LE adding a 4-way power passenger seat. Tilt and telescopic steering aids driver comfort (the LE features power tilt and telescopic), and a revised center stack improves ergonomics. However, some reviewers mention that the dash controls for the optional navigation system sit too far away and can cause driver distraction. Part of the reason for revising the Murano's platform was to improve overall passenger comfort, and by most owners' accounts, Nissan has succeeded. Front passengers gets 43.6 inches of legroom, with rear passengers receiving 36.3 inches. Feet might feel cramped, but knees never get pushed up even with the front seat fully set back. The rear seats split-fold flat 60/40 and also recline, for added comfort, and a power-folding option is available. Stadium-style seating improves visibility and creates a more open feel for riders. Cloth seats adorn the S and SL trims, while the LE gets leather upholstery. The biggest loss in space comes in cargo capacity. The new sloping rear roofline cuts out some of the height of the cargo bay, reducing overall storage from 82 cubic feet in 2007 to 64 cubic feet in 2009. With the seats up, the bay holds 32 cubic feet. A roof rack comes standard on all trims, but crossbars cost extra. Optional on the SL and standard on the LE, a power liftgate provides some extra convenience, though some reviewers find this extraneous. Underfloor compartments offer extra storage, with a good amount of smaller storage units spread throughout the cabin, including a glovebox designed to hold a 15-inch laptop. The base S trim features push-button start, full power features, electroluminescent gauges, a 6-CD/MP3 player, wheel-mounted cruise and audio controls, and remote entry. Moving up to the SL adds leather trim, while the LE gets you leather upholstery, heated seats, an upgraded 10-speaker Bose sound system with satellite radio, memory settings for the driver, a trip computer, Bluetooth, and Intelligent Key. This last lets you operate the door locks and start the car without removing the key fob from your pocket or purse. Most of the LE features are available as options on the other trims. Other add-ons include a dual-pane sunroof, DVD player, heated rear seats, a 9.3-gigabyte hard drive, and touchscreen navigation with real-time traffic. Not yet put through crash tests, the '09 Murano should perform well, featuring a long list of standard safety equipment. The previous 2007 model received five stars in all categories but rollover, where it earned four stars. All trims boast 4-wheel ABS brakes with electronic brakeforce distribution and brake assist, traction and VDC stability control (Vehicle Dynamic Control), a tire monitor, automatic headlights, and dual front-side and side curtain airbags for both rows. Foglights are standard on all but the S trim, and the LE adds rain-sensing wipers. Blind spots caused by the large C-pillar and small triangular rear window remain a nagging problem for the Murano, and a rearview camera can be added, but some drivers find it hard to read during a sunny day. The '09 Murano travels much faster than drivers realize, say CarGurus owners, who caution against speeding tickets. The V6 engine and smooth CVT earn top marks, with special mention going to the responsive off-the-line acceleration. An incredibly quiet engine improves overall passenger comfort, which already scores well thanks to comfortable seats, many high-end standard features, and a roomy interior. The low fuel economy, though comparable with many similarly sized crossovers, disappoints CarGurus drivers, along with the limited cargo space and rear blind spots. Drivers on other sites emphasize the nimble, yet tight handling of the redesigned '09 Murano and echo praise for the quiet ride and powerful drivetrain combination. Many owners appreciate that this crossover drives more like a car than an SUV, and its unique style and looks make it stand out on the road. Specific features that rate highly include the sunroof, Bluetooth, and the Intelligent Key. Owners generally like the combination of passenger space, interior luxury, and high-end technology that makes up the Murano package. 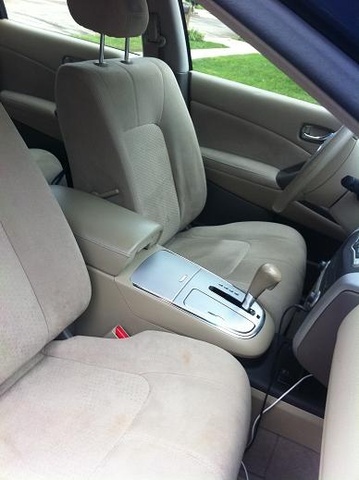 Complaints focus on how the sunroof severely cuts down on headroom, poor rear visibility through the small back window, and the fact that options must be bought bundled rather than separately. 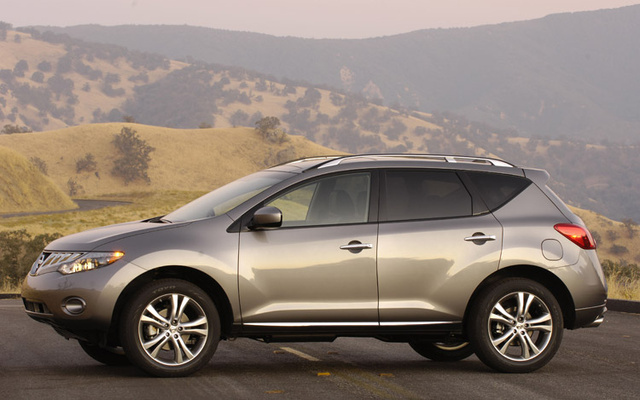 What's your take on the 2009 Nissan Murano? Peggy We just bought our 09 Nissan Murano SL and we love it. We traded our 04 Buick Rainier CXL AWD in on it. 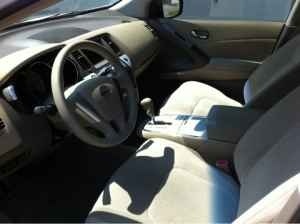 Great handling, very comfortable, great looking and decent gas mileage. 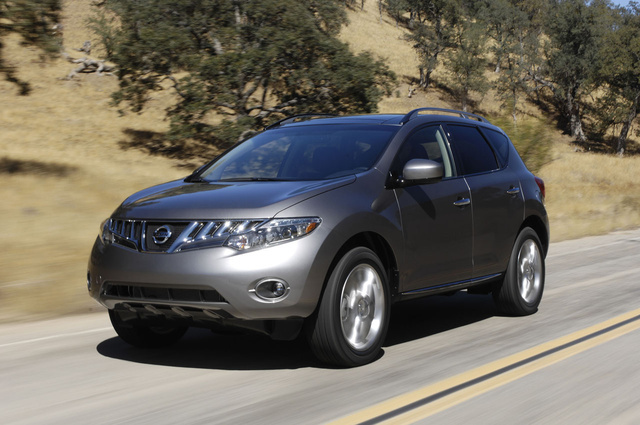 Have you driven a 2009 Nissan Murano? 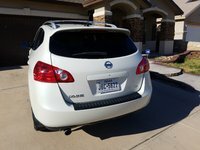 I Have 3 Codes On My 2009 Nissan Murano. P1700,P0868,P0746. I have a 2009 mirano and when I take a slightly sharp turn an alarm sounds. A constant beeping. What is that? Do I need to fix something?